BARN DANCE HAS BEEN MOVED BACK TO THE TRINITY STREET GYM BECAUSE OF THE RAIN!! 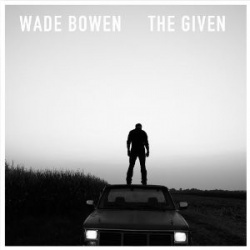 Born and raised in Waco, Texas, singer/songwriter Wade Bowen started his musical career in the band West 84 with longtime friend Matt Miller. In 2001, after flirting with the idea of life outside of the music business (he graduated from Texas Tech with a public relations degree), Bowen decided to head out on his own, self-releasing his 2002 debut Try Not to Listen and playing up to 250 gigs a year. The hard work eventually paid off as the title track climbed into the Top Ten on the Texas music chart, and the rising star began planning his follow-up. Live at the Blue Light and Lost Hotel arrived in 2006; both were released on the Sustain label and earned him an audience outside of Texas. Collaborations with Pat Green, Ray Wylie Hubbard, Radney Foster, Randy Rogers, Brandon Rhyder, Bleu Edmondson, and brother-in-law Cody Canada of Cross Canadian Ragweed followed, with a new album, If We Ever Make It Home, arriving in 2008. If We Ever Make It Home wound up peaking at number 29 on Billboard’s Country albums charts, the first time he popped up on the charts. Before he delivered another studio set, he released Live at Billy Bob’s Texasin 2010. Rising up in the cool underground Americana scene 23-year-old East Texas native Shane Smith carries deep roots in his guitar case, country soul on his sleeve, and poetic lyrical integrity in his music. During his teenage years, with little to no legitimate musical background, Shane took on the role as a songwriter that would lay the foundation for a career to unfold in the world of music. Inspired by songs of Hayes Carll, Adam Carroll, and Ray Wylie Hubbard, he taught himself guitar and began to write the kinds of songs he loved from an appreciation of stellar songwriters. “I was real fortunate to have heard these artists off the bat,” Shane recalls. Honoring his commitment to become a respected songwriter Smith moved to the Austin area to fulfill his dream and hone his skills as a working musician as well as earning his degree at St. Edwards University. After finding some of the city’s most proficient players, he formed his backing group The Saints that add groove and energy to the Shane Smith sound. While holding down jobs as well as attending college full time, each of his band members are just as dedicated to the cause, having become respected players by performing nonstop. With a five piece young rocking band and songs with depth and weight, Shane’s live performances are always a high energy and moving experience that leave audiences screaming for more. By 2009, Shane recorded his debut album, “I’ll See for Miles” with producer Bob Gentry. After much pressure from friends and fans to record his newly worked material Shane is back in the studio recording his much anticipated follow up. Having tapped a powerful creative spark that allows him to highlight a moment with his words and a knack for defining truthful situations in his songs; some say that Shane Smith just might be the next great Texas songwriter you’ll feast your ears on!